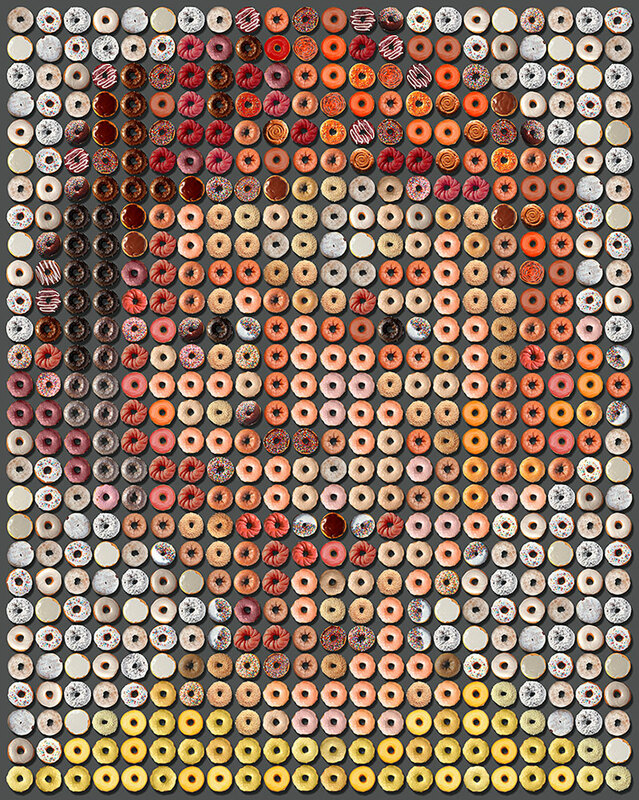 Photographic arrangements made of hundreds of images of donuts by artist Candice CMC. 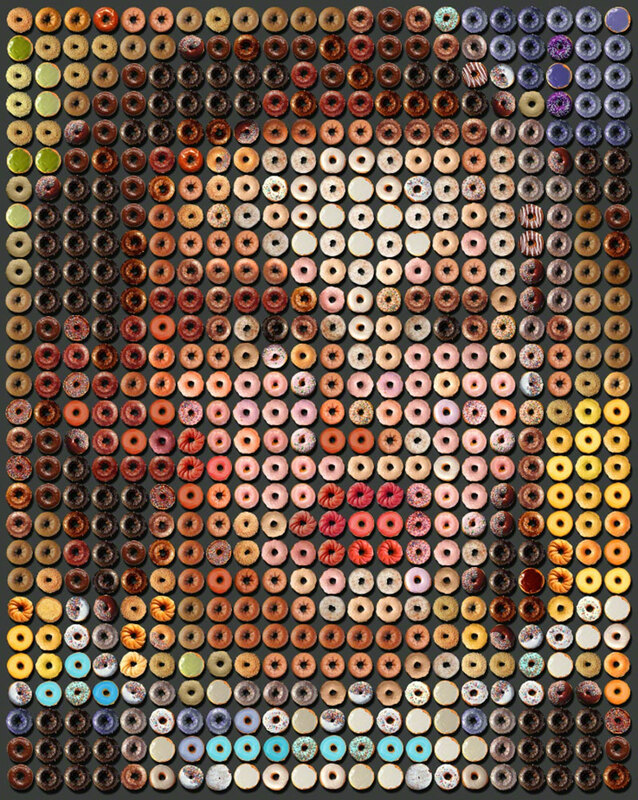 The portraits from popular culture become recognizable when viewed from a distance. 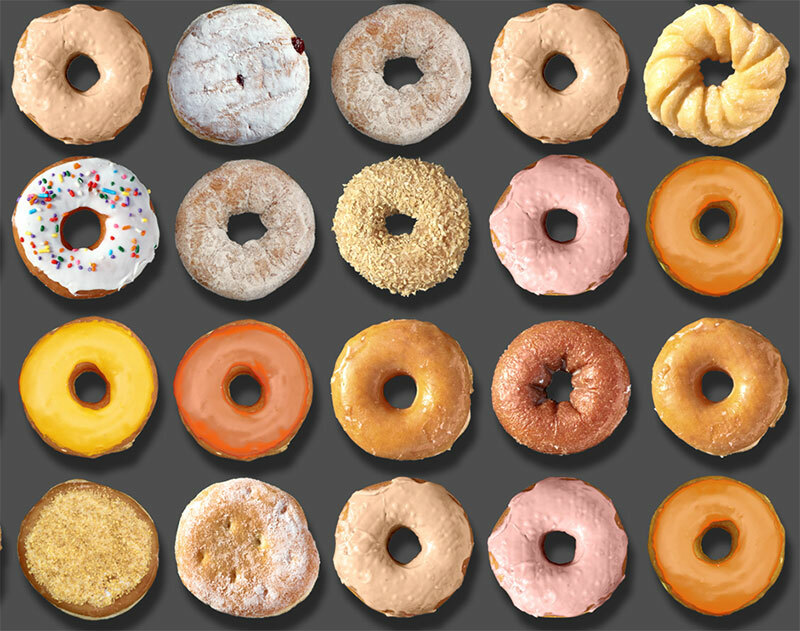 With a background in graphic design, her process involves photographing the donuts and studying their tones and values so they can be arranged to form the characteristics of the face she is creating. 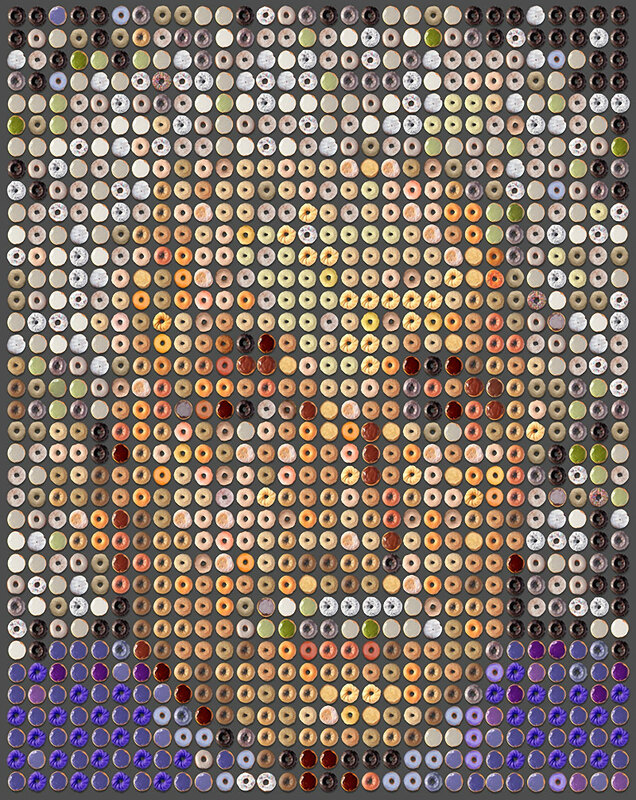 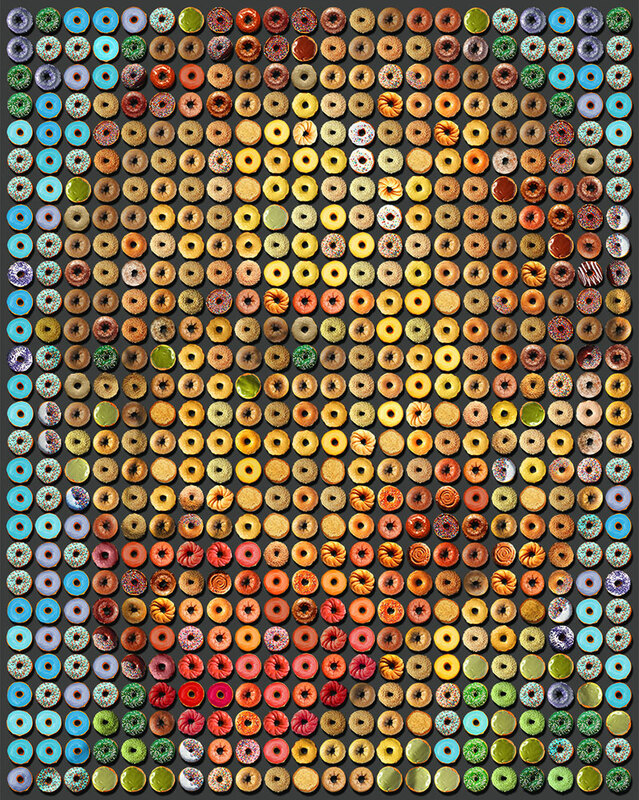 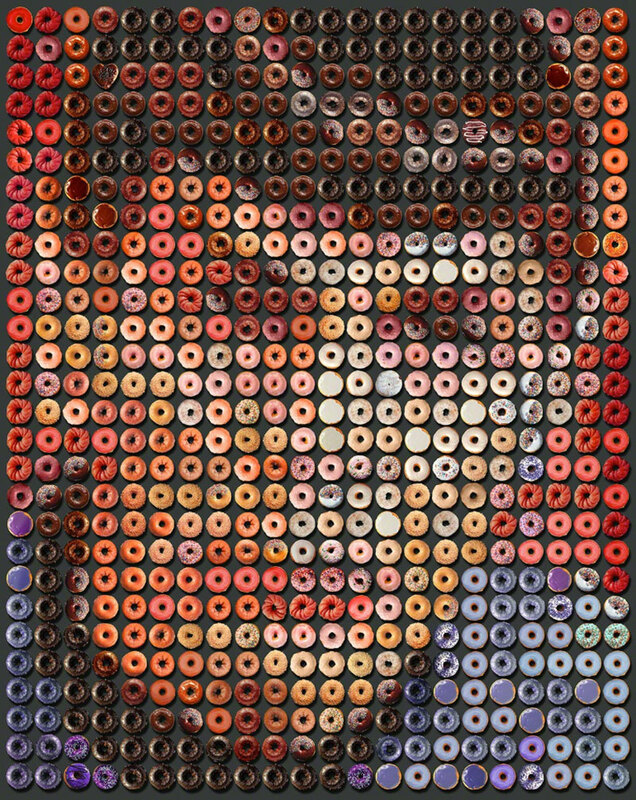 The donuts act like tiny pixels that make up the whole portrait resembling the works of artists such as Chuck Close, Nathan Manire, and Christian Faur. 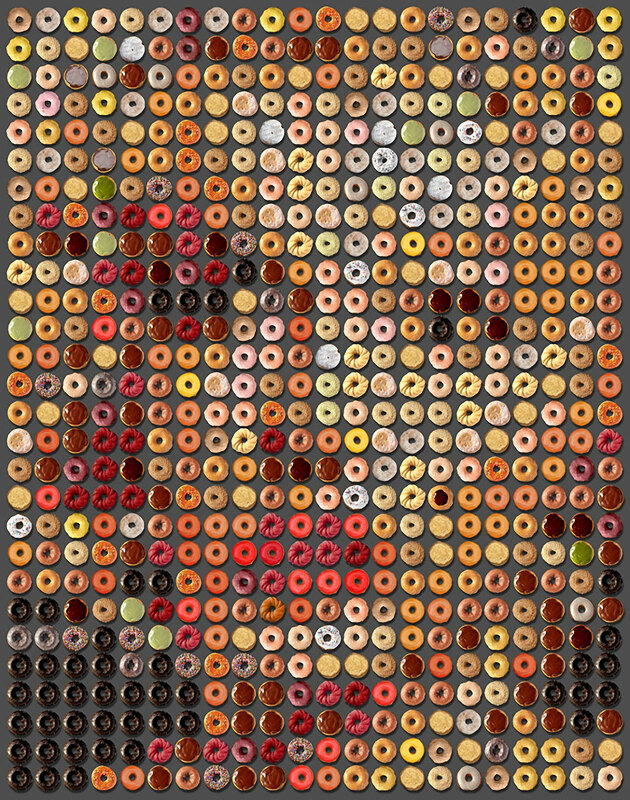 Photographic arrangements made of hundreds of images of donuts by artist Candice CMC.